Today’s Spiffy Ehward Winner is The Atheist Pig, found on Twitter @theatheistpig & he’s on many other Social Networks too. 2) theatheistpig.com is a great comic that really takes it to religion in a humourous way. Whatever social platform you’re on, go follow him. Artists like Pig need our support. Until next time, keep drinking the Kool-aid & be nice to one another. This entry was posted in atheism, religion, Spiffy Ehward and tagged atheism, atheist, atheist pig, eh, ehward, religion, Spiffy on December 6, 2016 by Eh. 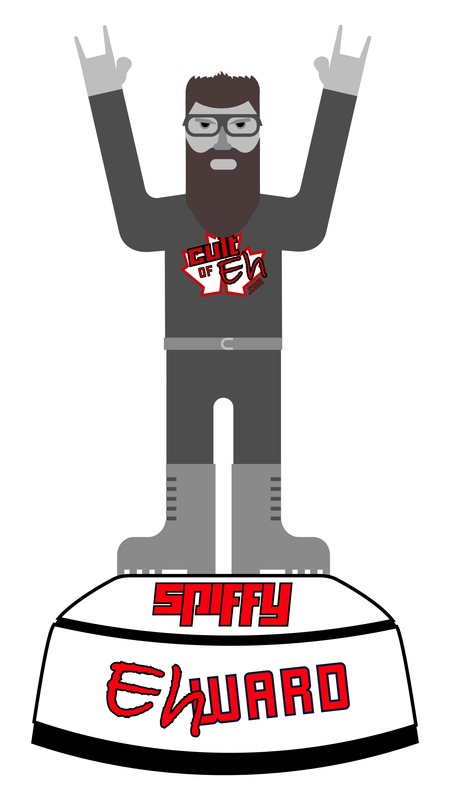 The Spiffy Ehwards are THE most highly sought after and prestigious Ehward to be found on the Interwebs. You know this to be true because you just read that it is true. It comes with no cash award or any other benefits beyond bragging rights, but that is more valuable than any amount of money or silly statue. Winners are encouraged to put it on their resumes as it will almost certainly make you a more appealing candidate to prospective employers. Nah, just kidding. It’s my unique (& admittedly dorky) way of giving a shout out to people I find amazing. I used to do extensive #FF lists on Twitter but they became so clogged with amazing people that I was spamming the Cultists timelines with 40+ #FF lists. It became unsustainable for me and annoying for many of you. I’d rather draw attention to one specific person at a time. I think it is more personal and meaningful and really forces me to think about who the truly Top Notch Cultists are. This entry was posted in atheism, Spiffy Ehward and tagged atheism, atheist, award, dreams, Spiffy, Spiffy Ehward on December 2, 2016 by Eh.